Drunk driving & damages for fatality claims: Does the penalty fit the crime (Ontario)? A few weeks ago, the Marco Muzzo sentencing grabbed national headlines. In case you don’t know about the Marco Muzzo case; here’s the gist. Mr. Muzzo was driving drunk in York Region. His drunk driving led to a fatal car crash which killed 4 people. It was a tragic collision. At our law firm, we don’t refer to these collisions as “accidents“. Accidents are by their very nature, unintentional acts. You mean no harm, although harm may come from your unintentional negligence. Drunk driving on the other hand is never unintentional. It’s a conscious decision to drink, and then another conscious decision to drive. Every person needs to know or ought to know that whenever you get behind the wheel after you’ve had a drink or two puts the lives and safety of other motorists at risk. Mr. Muzzo was sentenced to 10 years in prison. He received 8 months credit for time spent in prison pre-sentencing. That means that he will only need to serve 9 years and 4 months in jail. Upon release from prison, he will be prohibited from driving for 12 years. He will be eligible for parole and an early release. When that time comes is up to the Court. In my informal poll of criminal lawyers, the consensus is that if Mr. Muzzo is a model prisoner, he may get parole in around 3 years or so. Think about that long and hard. If Mr. Muzzo, having made a conscious decision to drink and drive and kill 4 people is out on parole in 3-4 years, does that punishment/penalty fit the crime? Conversely, does 9 years and 4 months of jail time fit the crime? Finding the right balance between penalty, punishment, deterrent and rehabilitation/reintegration of an offender is a difficult balance. This is one of the hallmarks of Canada’s criminal justice system. The goal of the justice system is not only justice, but it’s to rehabilitate and reintegrate offenders so that they can become productive members to society. This same delicate balancing act does NOT apply to the civil justice system. Nobody is doing jail time (unless they’re found in contempt of Court or in repeated breach of a Court Order) for having caused damage to others. Unfortunately, the only way which the civil justice system has to award people in a personal injury claim is to make an award for damages (a monetary award). The Civil Court cannot put the at fault driver in jail for years and years. The Civil Court cannot suspend the at fault driver’s license until the end of time. In a personal injury case, the only real thing which a Court can do is to award damages. 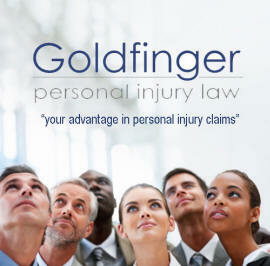 In my experience as a personal injury lawyer, the quantum of those damages is NEVER enough. How can you put a price on a person’s life? How can you put a price on the enjoyment and companionship which the deceased provided to their loved ones. Is $100,000 a fair sum? Is that enough money for your lost loved one? 10 times out of 10, the answer to that question from the family of a lost loved one is “no“. The law is cruel. I cannot overstate that enough. The law does not award the living, for the pain and suffering of their lost loved ones. The law only awards the living for their “loss of guidance, care and companionship” of the deceased. If you cannot prove a “loss of guidance, care and companionship“, then there is no claim to be had. Courts have quantified that loss of “guidance, care and companionship“. Below are a few examples of how much money Courts have awarded to people who have lost a loved one is a serious accident/collision. Please note that these damage awards have NOT been adjusted for inflation. Madonia v Stevens (2008),  WDFL 1556, 2008 CarswellOnt 8256 (Ont Sup Ct J). The deceased mother was 78 years old and died as a result of medical negligence. She had two adult children. The adult son was very close to his mother. They visited when possible and he spoke with her on the phone every other day. He relied on her for guidance and friendship. The daughter described her mother as “her best friend.” They visited often and her mother helped her a great deal when she went through cancer treatments. Singleton v Leisureworld Inc. (2008), 166 ACWS (3d) 886, 2008 CarswellOnt 2128 (Ont Sup Ct J). The mother was 77 years old at the time of her death in 2007. She had been suffering from Alzheimer’s Disease since 1999. She had been a resident in the nursing home operated by the Defendant for approximately six years. Wilcox v “Miss Megan” (The), 2007 FC 1004, 2007 CarswellNat 3324 (FC), aff’d 2008 FC 56, 2008 CarswellNat 1193 (FC). The deceased father drowned while at work on a fishing boat. He had three adult children. One adult child had a disability and her claim was considered separately. The other two adult children were independent but were close to their father. They spoke often and visited regularly. Adair Estate v Hamilton Health Sciences Corp.,  WDFL 3358, 2005 CarswellOnt 2180 (Ont Sup Ct J). The mother died after surgery and was successful in her claim for medical negligence. She had five adult children, two of which were FLA plaintiffs. The family was described as “close-knit,” and the mother was described as the family’s “social and moral pilot” (at para 189). 4) $80,000 to the minor son. Hechevarria v Reale (2000), 51 OR (3d) 364, 2000 CarswellOnt 4099 (Ont Sup Ct J). The mother was killed in an MVA. She had three adult children (ages 32, 27 and 22) who still lived at home and relied upon their mother. The children were either unemployed or did not work much, they depended on their mother, and they suffered emotional consequences of her death. The family was very close. Robb Estate v Canadian Red Cross Society (2000), 1 CCLT (3d) 70, 2000 CarswellOnt 2178 (Ont Sup Ct J), rev’d on other grounds, 152 OAC 60, 2001 CarswellOnt 4159 (Ont CA), leave to appeal to SCC refused, 172 OAC 198, 2002 CarswellOnt 2839. The father developed HIV from a blood transfusion and died. Daughter: The daughter was 16 when she learned of her father’s infection and 18 when he died. They were very close. When his infection became severe and he went into the hospital, she visited him nearly every day. She quit baseball so she could spend more time with him. Once he lost his sight, hearing and ability to speak, she would climb into bed with him so he could reach out and know she was there with him. $30,000 each for loss of guidance, care and companionship. Each was also awarded an additional $5,000 based on McDermott v Ramadanovic Estate ((1988), 27 BCLR (2d) 45 (BC SC)), where a 13 year old was awarded $20,000 for “emotional scars” as a result of witnessing both of her parents’ death in a motor vehicle accident. While this degree of shock was not present in this case, Macdonald J held that the father’s death had a substantial emotional impact on the children. Campbell J refers to this award as “the high end of the conventional range of family law awards” (at para 309). Singh Estate v Bajrangie-Singh (1999), 129 ETR (2d) 302, 1999 CarswellOnt 2230 (Ont Sup Ct J). The deceased mother was shot by her partner. She had three adult children. Her daughter had lived with her when she first immigrated to Canada. After she moved out, they visited and spoke on the phone often. Her son and her other daughter lived in Trinidad and they spoke every few weeks. Her daughter in Trinidad came to Ontario to visit the deceased on several occasions and once stayed for a couple of years. $3,000 for each of her other two children who lived in Trinidad.